The good, the bad and the divine: LANDS’ END supports SUSAN G. KOMEN DEUTSCHLAND E.V. LANDS’ END supports SUSAN G. KOMEN DEUTSCHLAND E.V. This month LANDS' END (Germany, Austria and France) supports the Susan G. KOMEN Breast Cancer Foundation. Susan G. KOMEN e.V. is financing exemplary projects for the cure of breast cancer and they also run educational advertising campaigns. 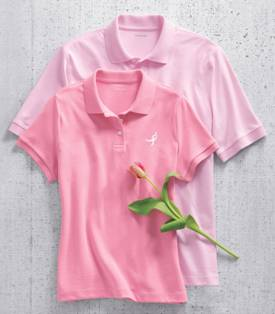 LANDS' END will donate €5 of each sold Pima-Polo of the women and men collecion, no matter what colour, to Susan G. KOMEN e.V..